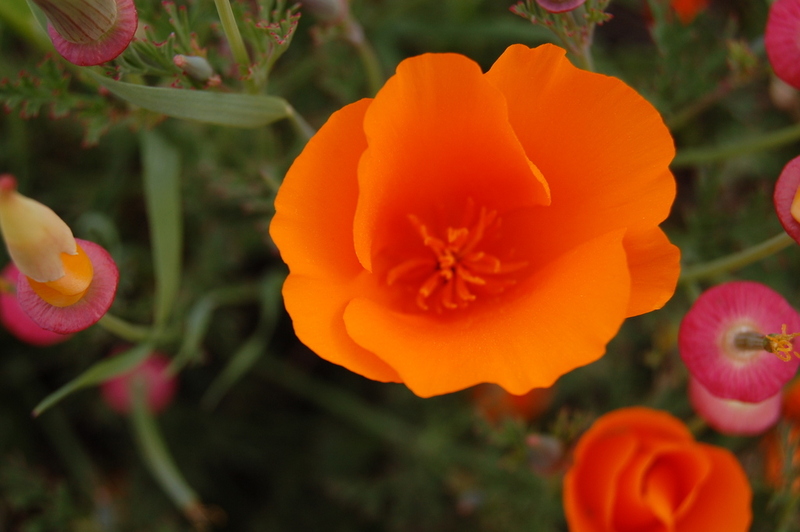 Today’s Thursday Picture was taking last Sunday on my hike at Ravenswood OSP in East Palo Alto. 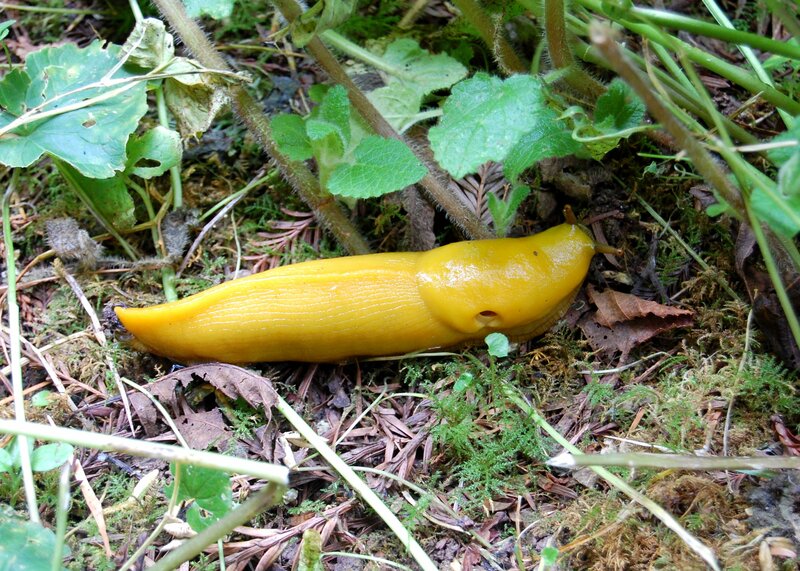 I’m usually hiking in the mountains surrounding the Silicon Valley. 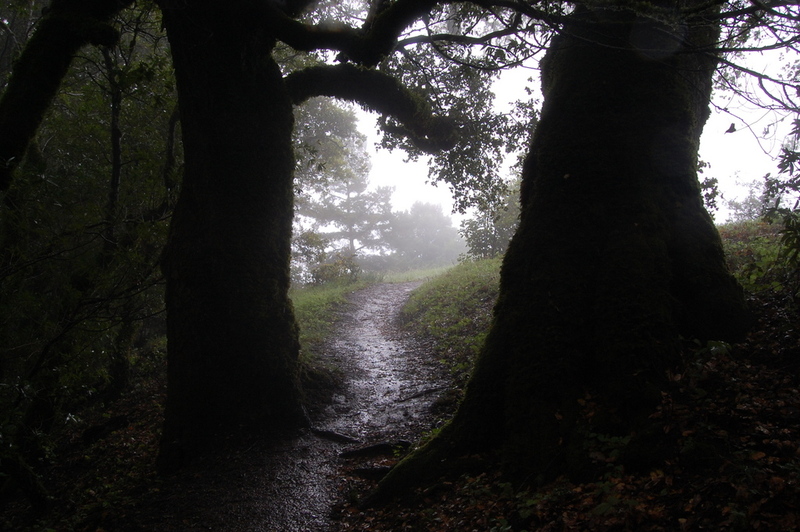 However, in my quest to hike in every MROSD by the end of 2015, Ravenswood was next on my list. 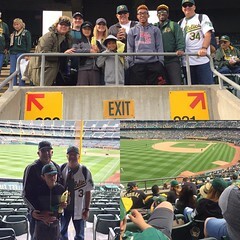 I’m glad I visited. 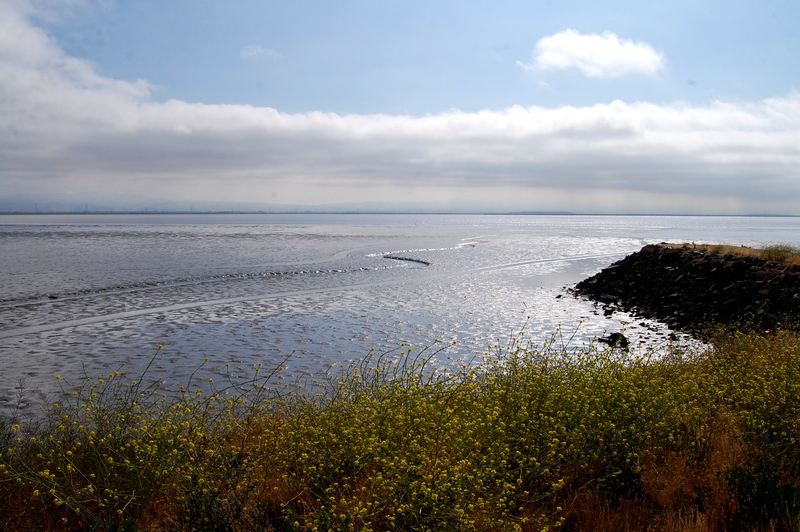 Running adjacent to the southern San Francisco Bay, there is a large tidal marsh that is teeming with all sorts of birds like sandpipers, avocets, and the endangered California Clapper Rails. My knowledge of shore birds is something that I need to improve! While I was visiting Ravenswood OSP, there was construction of an education center going on at the adjacent Cooley Landing Park, which is part of the City of East Palo Alto. I’m looking forward to returning later in the year when the center is completed. 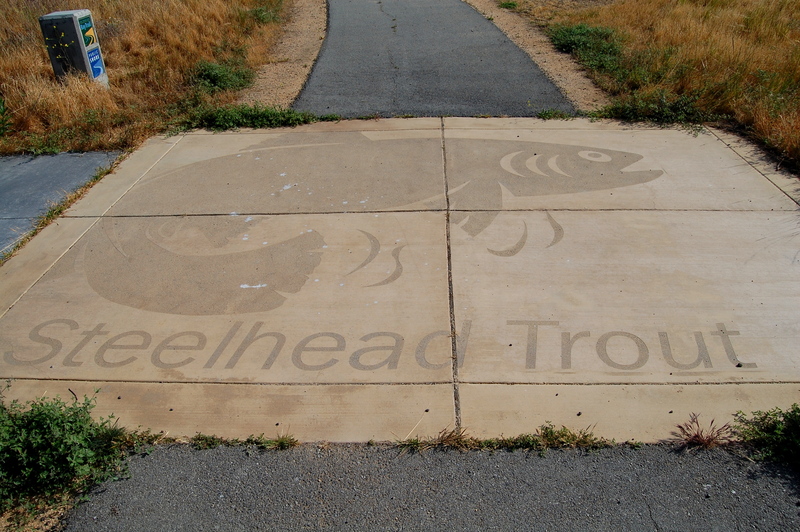 I really liked the special concrete treatment included as part of the walk way around the southern part of Ravenswood OSP. If you need a change of pace from the redwoods of the Santa Cruz Mountains, I would encourage you to check out Ravenswood OSP. 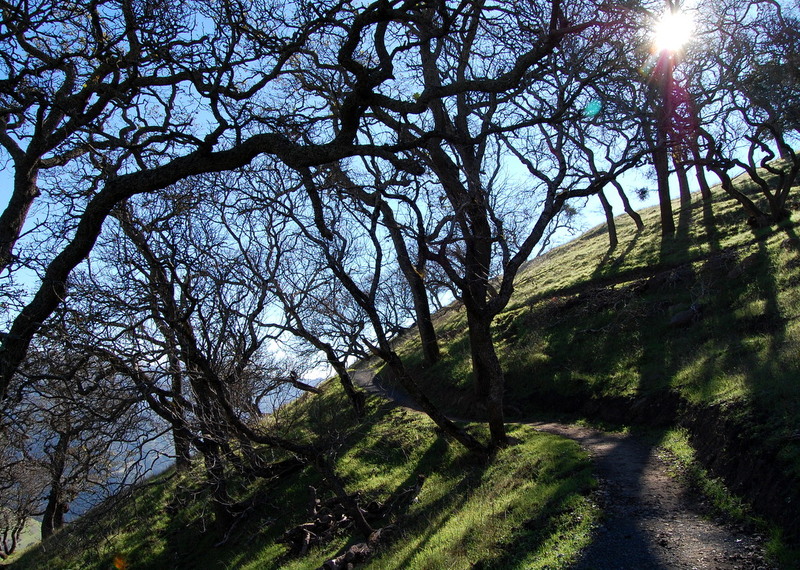 “Z” Ridge Trail – Taken at Russian Ridge Open Space Preserve in the Santa Cruz Mountains west of San Jose/Silicon Valley. 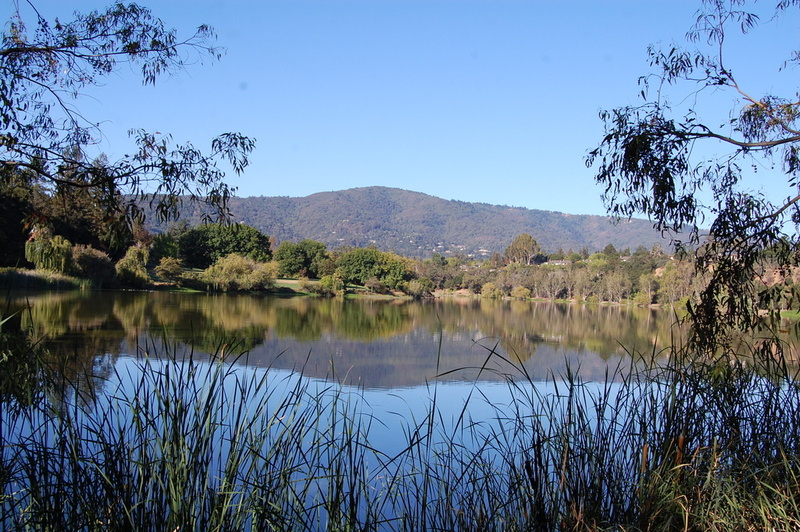 One of my favorite places to hike in the Bay Area, this trail is also part of the Bay Area Ridge Trail system. 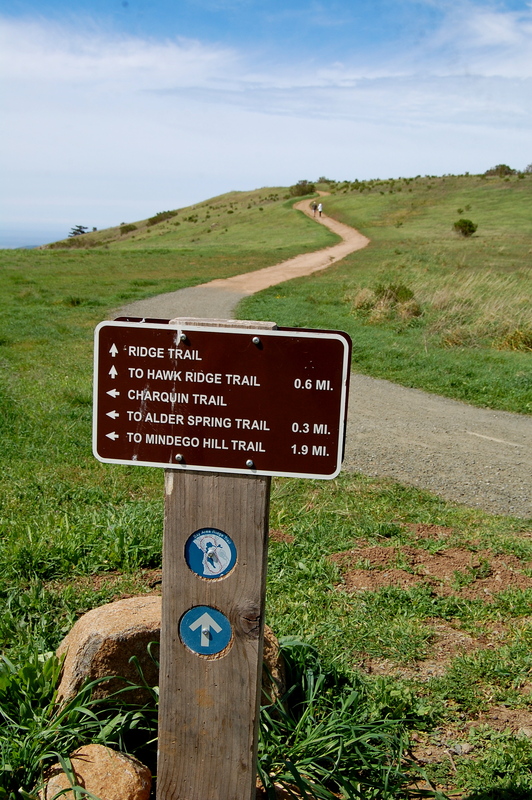 About 350 miles of Bay Area Ridge Trail are currently open to hikers. Another 200 miles are yet to be developed and opened up. 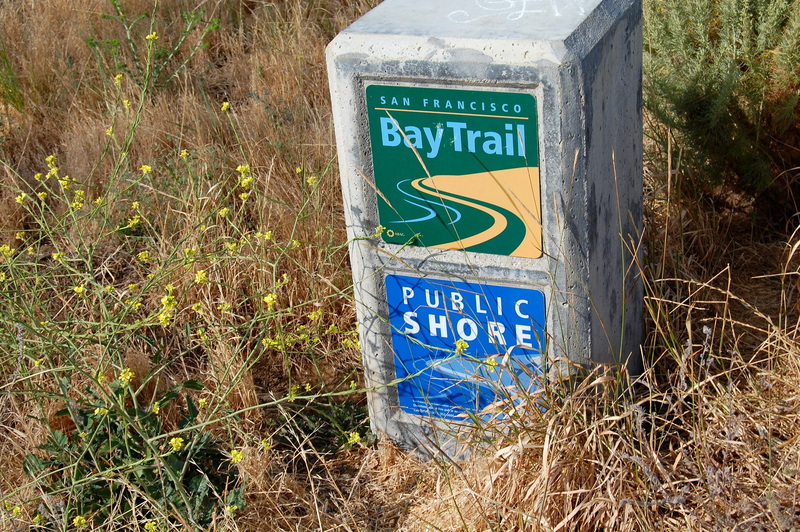 When done, the Bay Area Ridge Trail will completely circle the entire Bay Area! Work has been crazy the last several weeks! My team has been working hard to accomplish some design milestones while also supporting projects in construction. We’ve also been watching a lot of volleyball lately. So, between work and volleyball, I haven’t been able to hit the trail a lot. I’m hoping to do some hiking this weekend. Hmm, where should I hike? I plopped down onto the grass, pulled out my trusty Liberty Bottle, dug through my backpack for one of my trail snacks (a PB&J Sandwich), and just enjoyed the view. 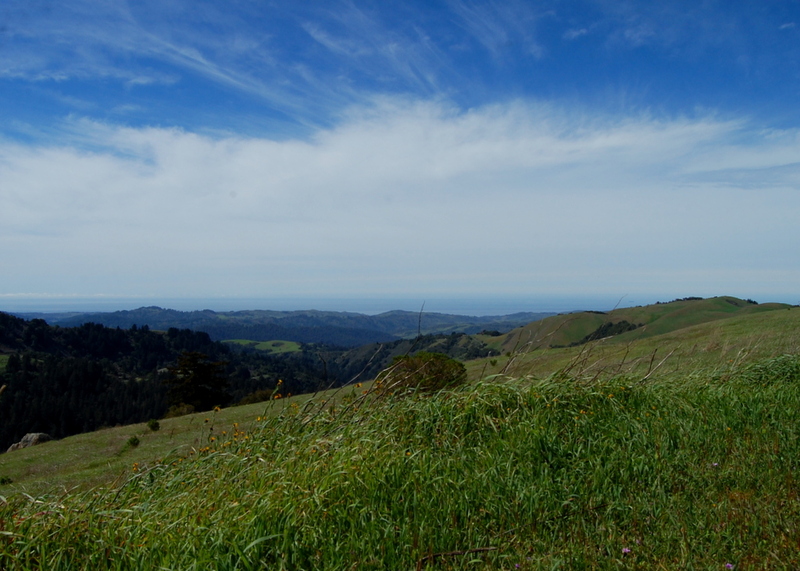 I swear, the hills looked greener and the Pacific Ocean looked bluer than in this picture. Well, I certainly got a good look at my part of the world in 2014. I started off back on January 20, 2014 with my first hike of last year at Picchetti Ranch Open Space Preserve in the Santa Cruz Mountains here in California. If you follow my blog, you will know that my goal for 2014 was to hike at least 20 times for a total of 100 miles. I chose to reduce the number of hikes because our youngest daughter was selected for a club volleyball team back in November, 2013. Her volleyball tournaments take up a good number of weekends that I may otherwise be hiking. Although, I really enjoy sitting in a gym watching Casie and her teammates fly after volleyballs just as much as I really enjoy sitting on a log watching a red tail hawk fly lazy circles in the sky. 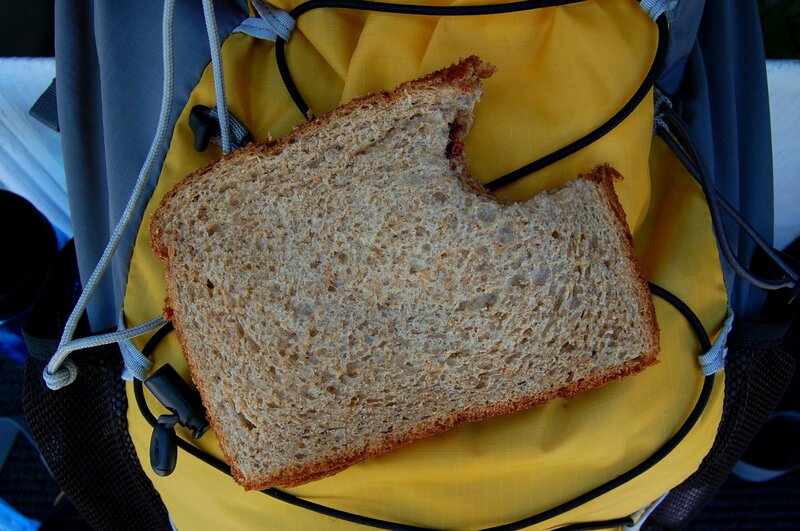 I wrote about my favorite trail snack in 2014…my PB&J on Whole Wheat! 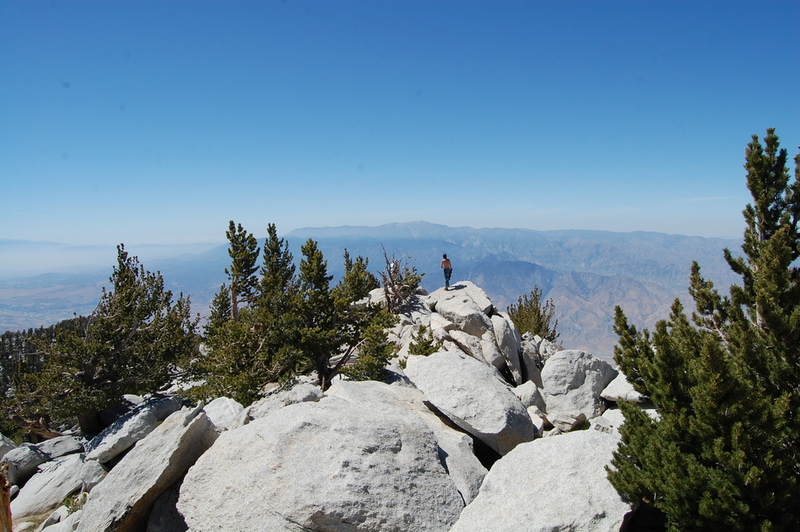 I also traveled to Southern California in 2014 and hiked to the summit of Mt. San Jacinto. At 10,834 feet, this would be the highest elevation that I reached in 2014. 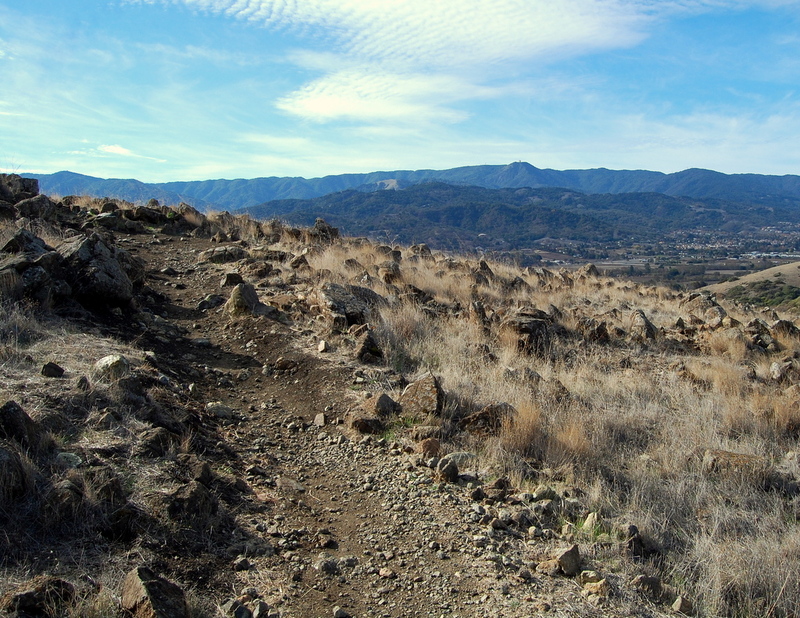 The trail to get to the summit and back is a long 13 mile round trip hike. Normally, I am struck by the altitude sickness bug…but, this year, after much research, I planned ahead, took regular water breaks, and felt fine at the summit. 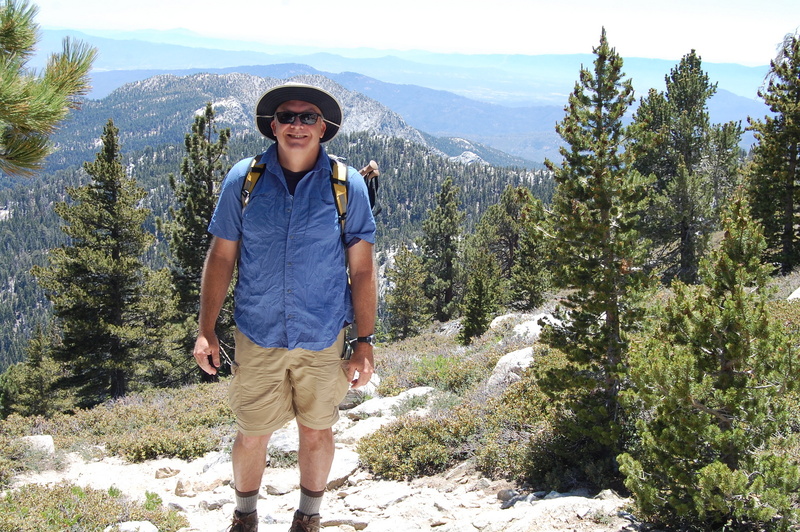 Here I am taking a break about 1 mile from the summit. 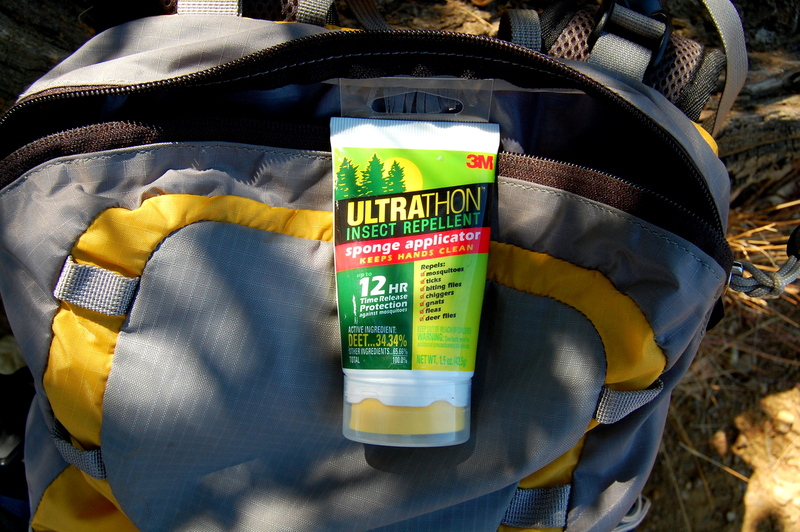 I was nearly eaten alive in 2014 by mosquitoes at Fremont Older OSP back in August…luckily, I still had my stash of bug juice in my pack from hiking in the Sierras! 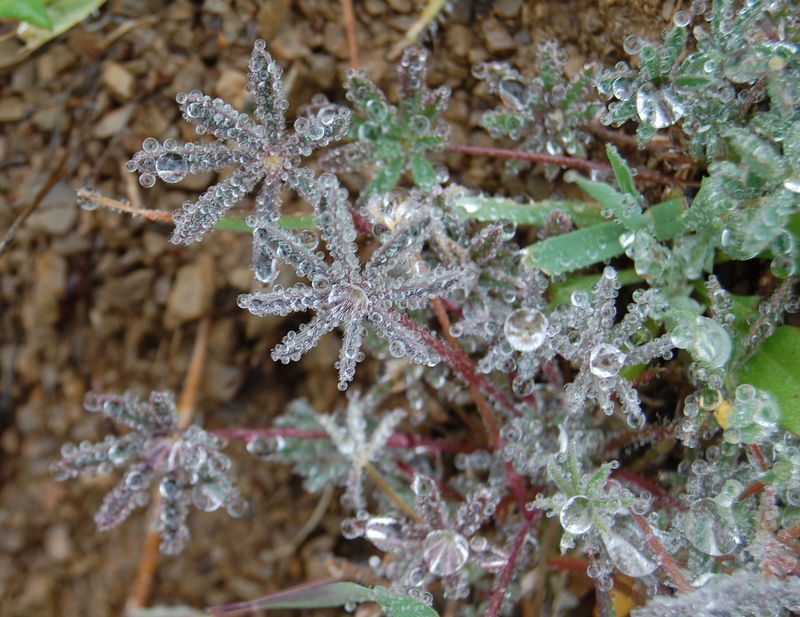 But, no matter how many bugs that latched on, I kept on hiking and saw some wonderful sights here in California in 2014! So, where will I go in 2015? 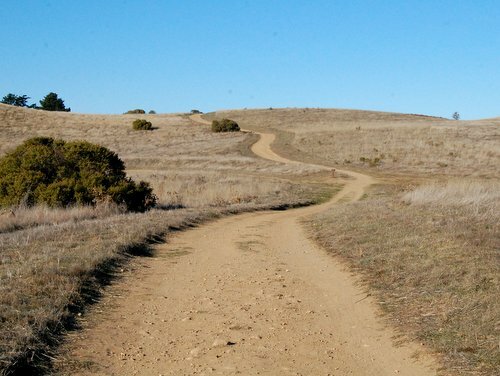 I’d like to explore even more of the great trails at the Mid Peninsula Open Space Preserve, the Santa Clara Open Space Authority, the Santa Clara County Parks, the California State Parks, and the National Parks here in California. 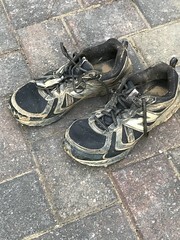 I think that I will also venture to the East Bay Regional Parks this year…I’m sure my faithful KEEN’s have another several hundred miles left in them!